Buy a license now, and take advantage of 50% discount. The discount will only apply until the end of this year. ANN: 75% OFF – FB TraceManager SuperSALE! Until the end of 2016, we are offering FB TraceManager at a 75% discount, valid for both, purchasing new licenses and also extending expired licenses. 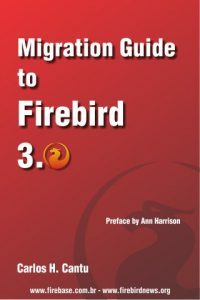 FB TraceManager is a comprehensive tracing and monitoring tool for your Firebird database. Upscene Productions wish you a happy new year, healthiness and success in 2017. Cursor is not opened on singleton selects. See the related PR #2241 . Fix for PDO_Firebird bug #65689. PDO_Firebrid / exec() does not free allocated statement. This leaves just a few bugs open for PDO_Firebird (some are feature requests). Buy a license now with 50% discount. The discount will ends at the end of this year. Jaybird 3.0 is a big change from Jaybird 2.2 and earlier. We have rewritten the entire low-level implementation to be able to support protocol improvements in newer Firebird versions, we have made changes with a stricter interpretation of the JDBC requirements, and we have removed some parts that were either obsolete or not functioning correctly.